My name is Jim Schmidt. 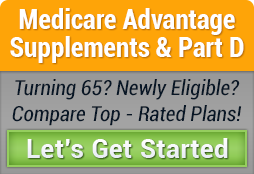 Getting right to the point….I am here to help you with Medicare everything! I speak like an old friend, I speak very matter of fact and always honest with zero fluff. Right from the start, I feel it of major importance that from where I stand, that you are seen as an individual, with wants and needs specific to you and to you alone. You are not a class of people. You have an identity, character, personality and qualities unique to only you. That would be our starting point. What is paramount, is that you are the focus. Your take-away from our time together is your certainty in knowing that your concerns have been acknowledged and understood, with profit being your unshakeable confidence when it comes to your peace of mind, the plan we’ve selected and why, then of course, who you have in your corner. Everyone in the industry will tell you how good they are, or how different they are, and that’s fine. As for me, that is a given and I would much rather speak to what is in it for you! My focus is all about you. I am not a salesperson! So…. what’s in it for you? In assisting our Medicare Beneficiaries since 2006, what is in your favor is my advanced, continued knowledge and experiences of which I will gainfully put into play per our conversations as to what would be in your best interest for your Medicare protection. I will explain all plan types, along with the pros, the cons, and all of the reasons as to why one plan would be a better fit than the prior or next. We are talking Medicare here, and a fair statement is that we all age different. There really is no “cookie-cutter” plan or a “one size fits all”. We are talking what is specific to you…not Mr. & Mrs. Johnson that you know from your church group or your former co-workers. Their plans may be what is in their best interest, and it may sound good when explained to you, but the big difference is how will that plan perform for you when called upon concerning benefits and finances “specific to you”? You will be exceptionally assisted with the personal attention required and deserved. The same respect I have forwarded and continue to do so for so many others. I work all aspects of Medicare, including all Medicare surrounding programs. There is an incredible cache of Medicare related programs that assist folks with income barriers or other personal concerns. Let’s talk! There is nothing that gives me more pleasure in assisting folks with these decisions and living my true calling and vocation, putting you in a better place than you were at when first meeting. Here is the best news though…I never leave! You will always have me to lean on for questions and guidance, and it does not matter to me if we’ve done business in the past or not….and I do answer my phone and return voice messages and emails. This is Medicare! You will have questions. I am here! This is my commitment up front. This is all too important to guess at or to just pick a plan crossing fingers hoping the right plan was picked. Please don’t be that person, and now that you have read this, you’re not allowed to be (smile)…so with a warm hand extended, I am offering you everything I have to give. Lastly, all of my services are at no cost or obligation to you…ever! © Copyright 2019 Signature Senior Solutions. All rights reserved.